Our most popular mulch! Processed from Indiana’s finest natural wood and manufactured on our site. Rich, dark chocolate brown in color and double shredded to approximately 1-2″ in size. Decomposes over time to make an excellent soil amendment. Another Premium Mulch Product! 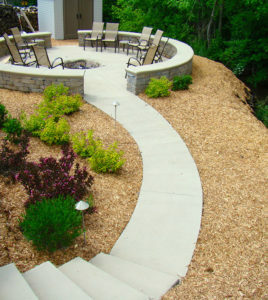 Perfectly screened from our Premium Hardwood Mulch which in turn sizes the smaller particles into a “fines” size mulch. Rich dark chocolate brown in color, composts quickly to make an excellent soil amendment. Comparable in size and consistency to coffee grounds. The absolute highest quality Hardwood Bark Mulch available. Triple shredded and perfectly aged. McCarty's Black Gold is the darkest natural mulch available, makes an excellent soil amendment after decomposition. Shredded to approx. 1 inch minus. The Best Florida Has To Offer! Cypress shipped from the Deep South, blonde/gold in color and shredded to a consistency of 3 inches or less. Retains color and longevity more than most mulches.